There is one post tagged india. 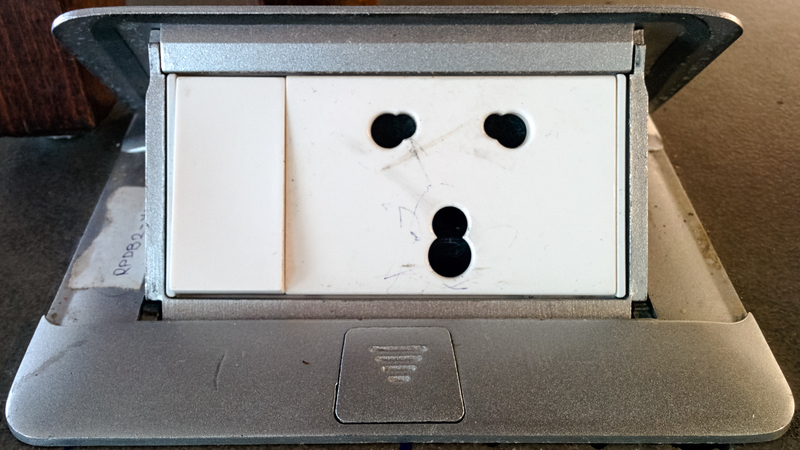 That’s why I was very confused when, on a recent trip to India, I wasn’t immediately able to plug in, and became fascinated with the multitude of different power sockets I saw over there. 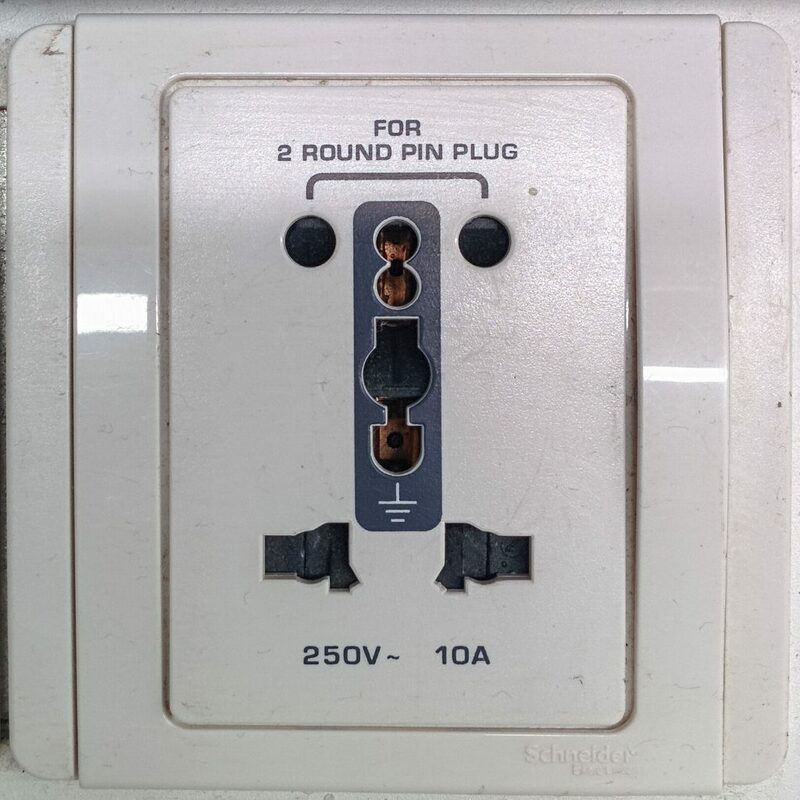 The first type of socket I encountered were these, and they match none of the configurations on my adapter: As it turns out, these are dual sockets for IS 1293 (which basically is a form of the old British standard BS 546). The old British system of sockets had different sockets and plugs for different amperages! 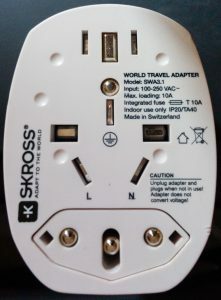 A 5A plug would fit only in a 5A socket, and a 15A plug was different and would fit only in a 15A socket. Since this is a very stupid usability problem (what do you do if you want to connect a 5A appliance but only have a 15A socket? ), apparently all newer sockets would always be rated at the higher amperage and include multiple holes to also connect lower amperage plugs. 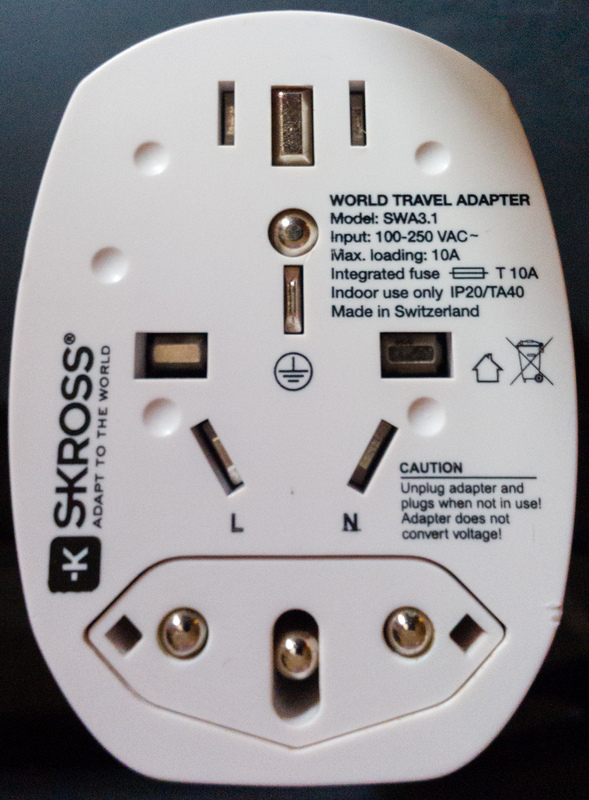 I’ve never seen this type when visiting the UK, and obviously my adapter doesn’t support that. So, no power for me. Also note that even though the lowermost set of holes would in principle be able to receive a Europlug, this doesn’t work, because there’s a plastic shutter that is actuated by the grounding pin. This one also supports both IS 1293 pin configurations, but by slightly moving the lower amperage holes they also made this thing fit a ‘normal’ British BS 1363 (aka Type G) plug which I had available on my adapter. 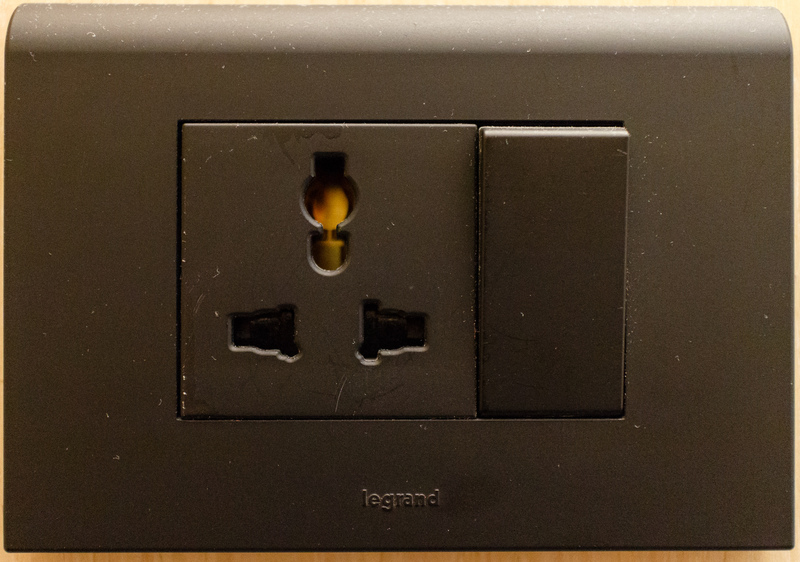 This will fit: Europlug, British BS 1363, IS 1293 (not sure if it’s good for both amperage configurations or just one of them), American NEMA, and Australian.